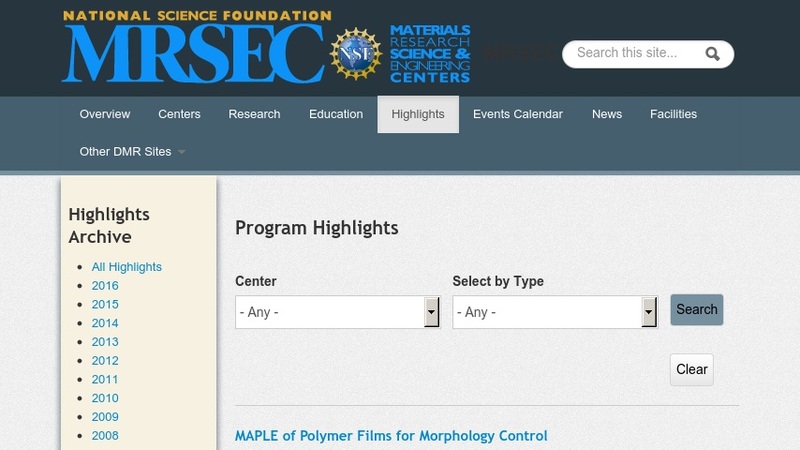 The National Science Foundation funds 26 Materials Research Science & Engineering Centers (MRSEC) and website highlights research conducted at the MRSECs at universities across the United States. The featured projects have been "selected with care and pride by the director of each MRSEC" and "represent samples of exemplary research at the Centers." Some examples include Cornell University's work on Ultra-Small Memory Devices for Silicon Electronics and the University of Pennsylvania's work on Nematic Nanotube Gels. Links are provided to individual MRSEC websites where visitors can further explore each group's work.